This is a strange little future dystopian novella by an author better known for his rugged portrayals of people and dogs surviving the Alaskan wilderness. I’m going through a phase of fascination with authors associated with capital “L” Literature who also wrote speculative fiction, e.g., E.M. Forster and his novella “The Machine Stops,” published in 1909 that is eerily evocative of the loneliness of life in the Internet age. Likewise, “The Scarlet Plague” was published in 1912, but envisions a post-apocalyptic 2073 in which a global pandemic has wiped out most of humanity and civilization along with it. The epidemiological disaster itself happens in 2013 and is recounted by an elderly man to his three grandchildren, who have never known anything but a wild, violent world full of predators and hard-scrabble living. London’s vision of a century hence (now our present) is in some ways prescient in that he foresees the inevitable evolution of capitalism toward a system in which the gap between the haves and have-nots has become an insurmountable chasm, and corporations quite literally rule the world through the Board of Magnates. I wondered as I read this whether this novella served as inspiration for the Canadian TV series Continuum and its vision of a future world ruled by a Corporate Congress, which seems especially timely now in the United States given that it appears political interests have become beholden to corporate interests, and there is a demonstrably growing gap between the wealthy and the middle- and lower-classes. 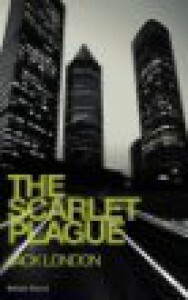 In “The Scarlet Plague,” the corporate-dominated class system (which also has some room, if not at the top at least in the upper middle, for the intellectual elite, of which the narrator was a member as a university professor) falls apart when the plague ravages the population in a matter of days. The primary symptom is redness of the face and extremities, followed by a cold, numbing paralysis that spreads over the course of about an hour from the extremities to the heart, thereby killing the patient. It reads like Movie Medicine ™ rather than the way any disease works in the real world, but I’m willing to handwave the medical science since ultimately that's just a MacGuffin. People die so fast that society falls apart. Most of the living flee the cities, which fall prey not only to the plague but to riots, looters and large-scale fires. But it takes a while to get to that. The first third or so of the narration feels like a precursor to McCarthy’s The Road, with the grandfather and one of his grandchildren hunting for food along the ruins of a railroad. The child is painted as nearly feral. Apparently, in the course of three generations, language has been all but lost, and the child is described as speaking a sort of broken pidgin and the grandfather (once an English professor) is mocked for his “nonsensical” speech, or what we’d know as proper English. The initial part of the story is about the grandfather’s sense of isolation. The world has changed and left him behind, nostalgic for the world that was, for the taste of food from a restaurant or for the books he once loved. He also seems nostalgic for the highly stratified class system (which I suppose makes sense because he was a beneficiary), even though he tells the three boys after linking up with the other two on a beach that the ready availability of food led to the enslavement of much of the population by the corporations. In the new world order, it isn’t money or birth or education that defines who rises to the top – it’s literal survival of the fittest, the strongest, the most brutal. The most dramatic and interesting part of the narrative comes when the grandfather tells the tale of the plague striking San Francisco, attempting to ride it out in a university building, and escaping from the city when that plan fails. I suppose the real point of the story is the grandfather’s mourning of the loss of knowledge. In just 60 years, so much of human knowledge has been lost that his grandchildren don’t even know how to count higher beyond 10 – they can’t count any number for which they can’t use their fingers. He tries to teach them, but they reject his attempts as frivolous. The only skills that matter to the boys are the ones needed to procure food – which is much harder to come by than in the grandfather’s youth. While easy access to food enslaved people to the corporations, it also allowed them to engage in more academic and artistic pursuits, or at least for the members of the grandfather’s class. For the lower classes, I don’t know that much changes from one society to another. Life is hard either way. 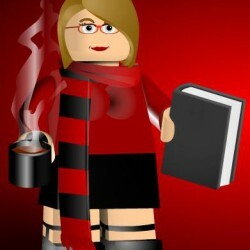 It does raise some interesting questions similar to those tackled by Continuum, namely how much liberty is worth trading for comfort and security, especially when security is an illusion and something as simple as a nasty little microbe could bring it all down?